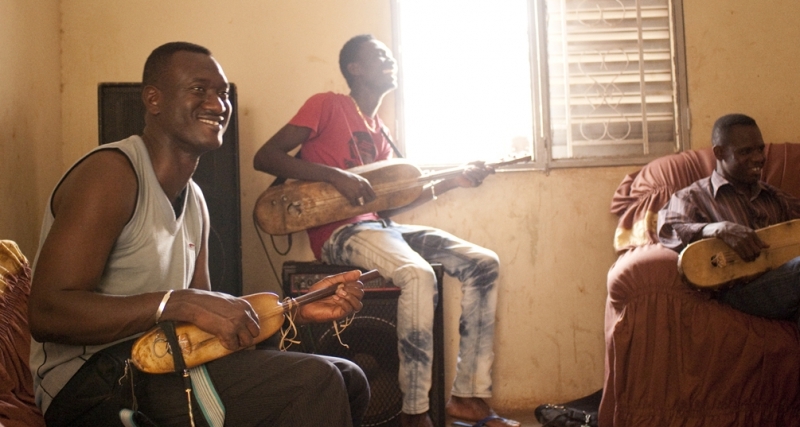 Bassekou Kouyate is one of the true masters of the ngoni, an ancient traditional lute found throughout West Africa, and he has collaborated with many musicians in and outside of Mali: He played in the Symmetric trio alongside Toumani Diabate (kora) and Keletigui Diabate (balafon). He was part of Taj Mahal’s and Toumani Diabate’s ‘Kulanjan’ project, as well as being one of the key musicians on Ali Farka Toure’s posthumous album ‘Savane’ which was released July 2006. 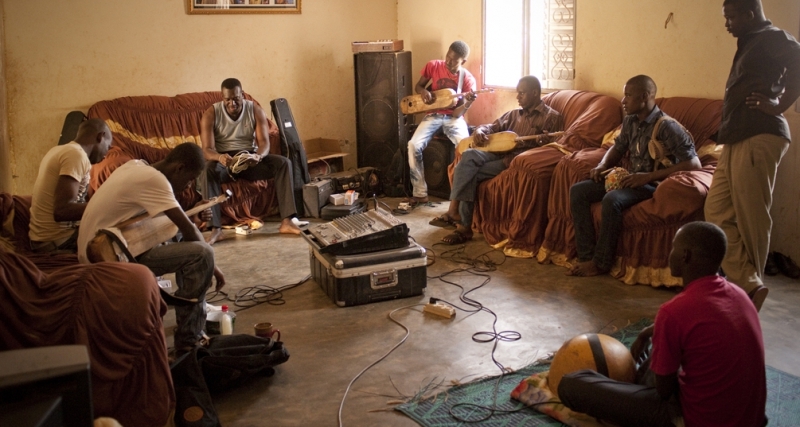 He toured with Ali Farka Toure leaving a lasting impression on the audience as the band’s solo ngoni player. After his celebrated debut album ‘Segu Blue’ and the Grammy nominated follow up ‘I speak fula’, hundreds of concerts all over the globe, performing as headliner in the AfroCubism project. Just a few months ago, he appeared on stage together with Sir Paul McCartney, John Paul Jones, Damon Albarn and many others at the latest Africa Express events. 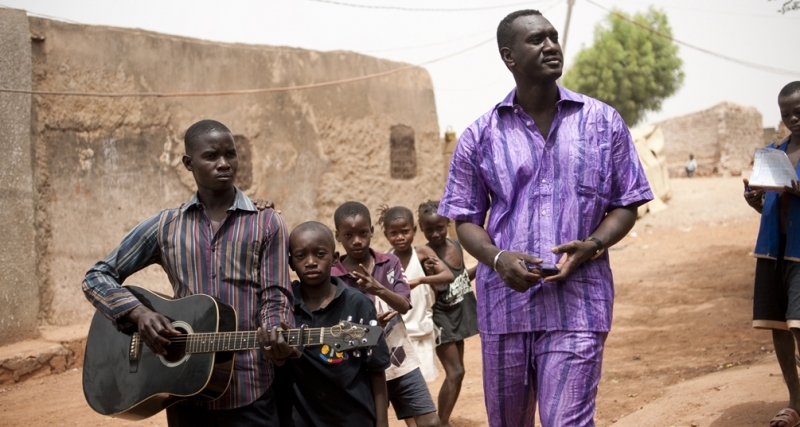 In 2013 Bassekou Kouyate returned with his new album ‘Jama ko’. 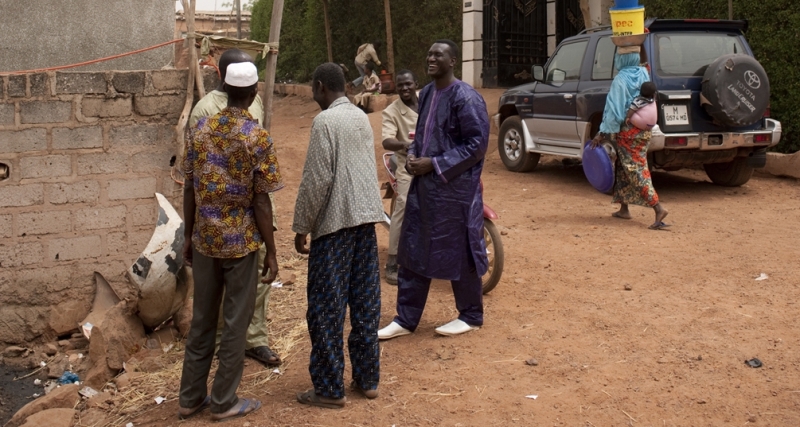 The album was recorded during the coup d’etat in March 2012 and is Bassekou’s statement tot he ongoing crisis in Mali. The album was produced by Howard Bilerman (Arcade Fire, Godspeed you! black emperor)and features Taj Mahal, Khaira Arby, Mocky Salole & many others. The album became album of the year in the World Music Charts Europe 2013 and became best world music album of the year in Les Inrockuptible, Mojo, Uncut & many others.